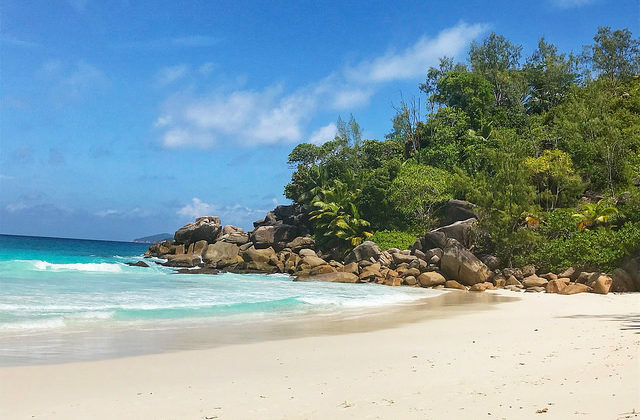 Seychelles: Great Beaches but where to dine? 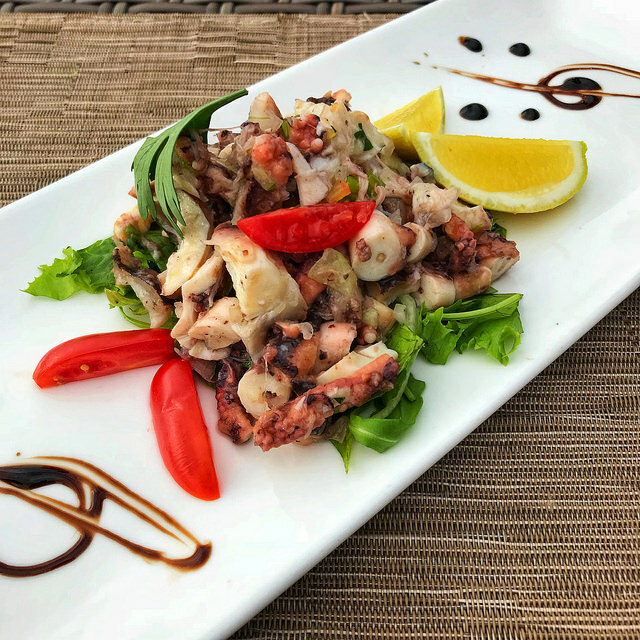 After our visit to the Paradise islands of The Seychelles we wanted our readers to update with a report on the Best Restaurants of Seychelles. Although we have visited over 15 places during this trip our selection became not really big. On the other hand the selection of amazing beaches is impressive. The combination Best Restaurants- Best Beaches was made. The Creole cuisine is renowned for its aromatic flavours and fusion variety. The Seychelles ‘food and drink’ culture is characterised by a varied range of influences. 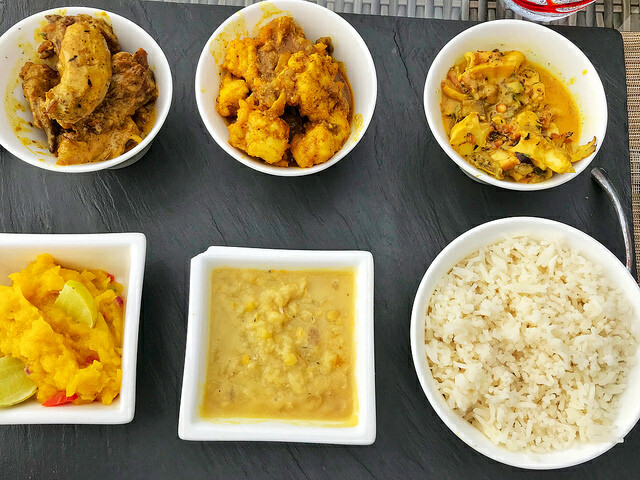 Seychellois Creole cuisine combines Indian and Asian dishes with a bit of French and even Chinese culture. These elements then find their culinary expression in a unique fusion of influences. The essence of Creole is found in rich sauces, local herbs and the prominent use of seafood, caught off course in local waters. 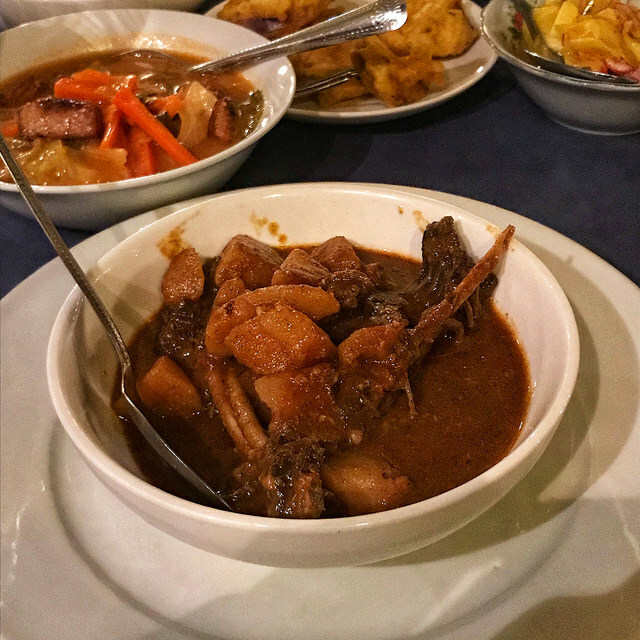 In this authentic Creole family restaurant you will experience a warm and relaxing atmosphere. It is not luxury but you will enjoy the local cuisine with produce sourced from the local market. Marie Antoinette is housed in a historic colonial mansion on the way from Victoria to Beau Vallon. 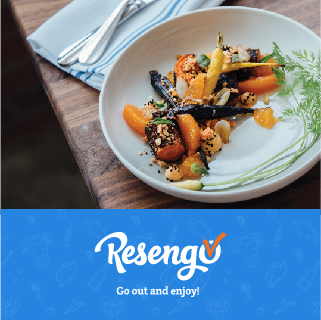 The restaurant serves one menu (285 SCR), which is a sharing selection that can be extended with some seasonal specialities like octopus or even fruit bat (on prior request). 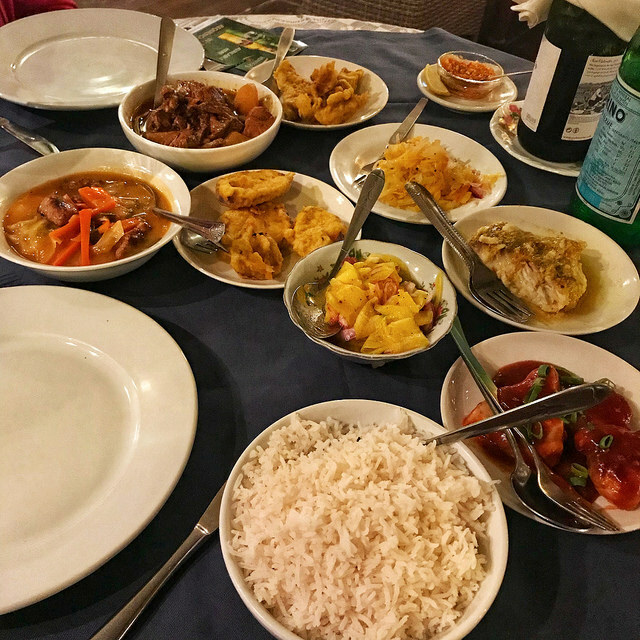 The Creole flair is pretty much everywhere at Marie-Antoinette comprising local dishes such as battered parrotfish, fish stew, tuna steak, chicken curry, mango salad and eggplant fritters. In comparison with other restaurants, we select Marie Antoinette with a very decent value for money. Enjoy some Creole cuisine for lunch or dinner in this restaurant right on the seashore. From the terrace you have a breath-taking view on Anse L’islette and the great lagoon. Relax with a spectacular sunset and enjoy an atmosphere of intimacy. On the menu a wide range of cocktails and different curry dishes. 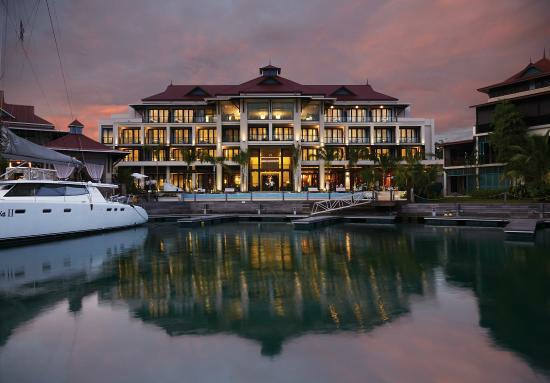 As a signature dish they serve a degustation of curries from the Seychelles with octopus, fish and chicken. The Marlin Bleu Restaurant is part of the Eden Bleu Hotel on the new built Eden Island. 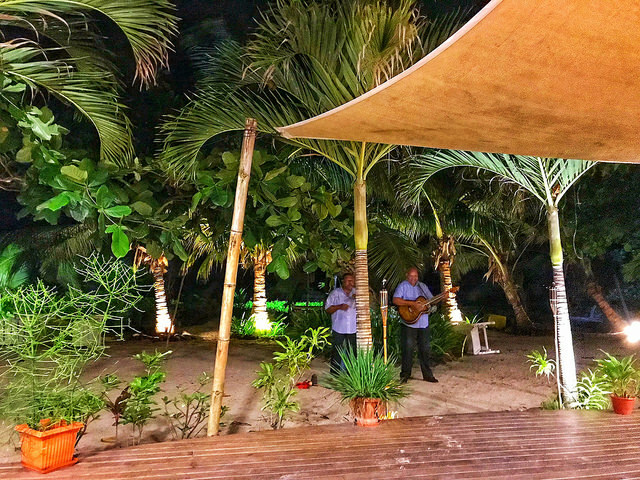 Situated just off the capital island of Mahé, the Marlin Bleu restaurant offers a harbour view and in the evenings romantic and cosy setting. Service is slower than traditional Creole restaurants but guests can enjoy several nice dishes prepared in the Josper Charcoal oven, like a T-bone steak or crispy chicken breast. 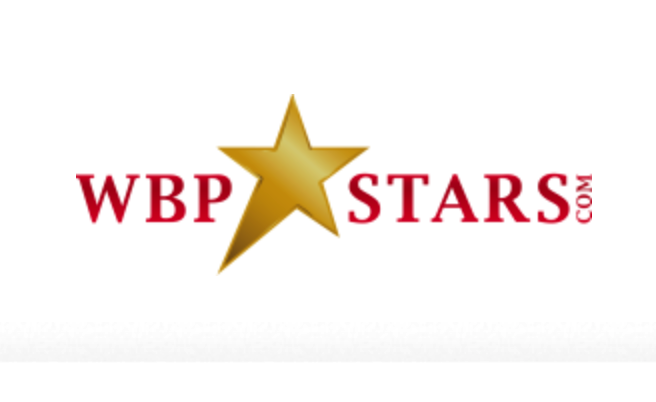 We did not selected this restaurant because of its fine dining as it is very basic and service is less charming but the restaurant definitely has some plus points. The picturesque Creole bistro overlooks the greenery of the Anse Royale beach. Enjoy grilled fish, authentic Creole curries, local crab with lemon ginger sauce or even pizza. On some evenings there is a live band playing kreol classics so check upfront when reserving if they will play because this is the true advantage of the restaurant. Le Château de Feuilles, proud member of the prestigious Relais&Châteaux chain, is set in a tropical garden on Praslin’s Pointe Cabris overlooking the Baie St. Anne. The hotel and restaurant boasts panoramic views of the sea and island that are breath-taking. Just below the hotel the fine sandy beach of Anse Marie-Louise promises unforgettable dips in the Indian Ocean. Here you will be impressed by the superb personal service and integration of the premises into the nature. The open-air restaurant offers a fine cuisine, combining creole and French influences. The chef serves a daily set 4-course menu. We started our candlelight dinner with job fish terrine, which was followed by a fresh pumpkin salad. As a main course the grilled beef fillet was complemented with a red wine sauce, pommes rissolée and pressed local spinach. 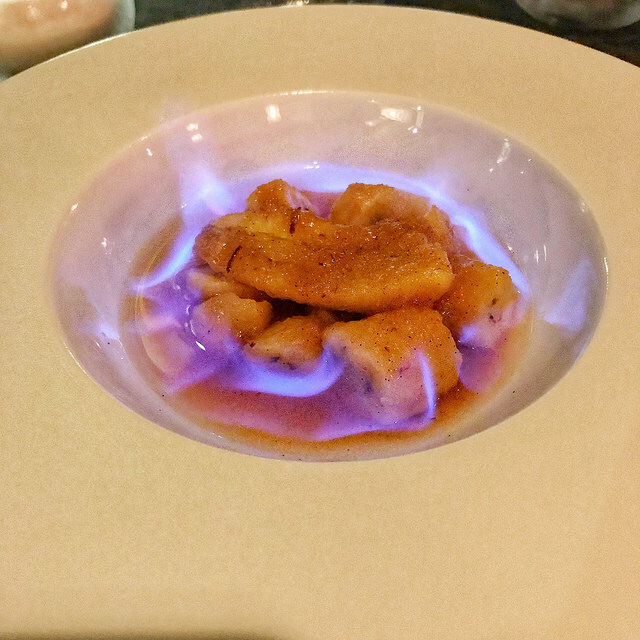 We finished with a delicious banana flambé with takamaka rum and coconut sorbet. If you want to go for a more international kitchen served in a luxurious setting you might also want to reserve a table in one of the restaurants from the wide choice of high-class hotels like Four Seasons, Kempinski, Maia, Raffles or L’Orangeraie. Port Launay is a great spot for swimming as it is well protected by granite boulders leaving the water calm and current free. This together with a fine powdery white sand beach makes it a popular beach. We also enjoyed one of our best snorkelling activities at Port Launay. Only a few steps in the water and you will discover beautiful and colourful species of fish around the corals of the marine national park. Grand Anse on Mahé Island is one of the longest beaches with nice soft sand. Due to the limited shade it is a paradise for sun-seekers. With very strong currents, swimming is not encouraged. 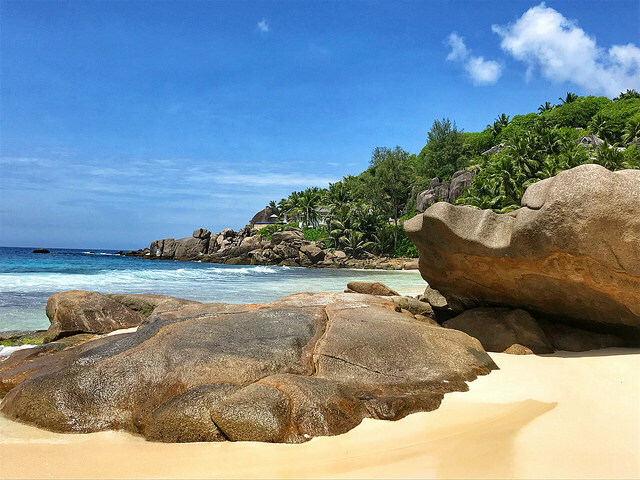 With rocks that climb out of the water, Anse Takamata has a stunning white sandy beach. This quiet spot is great for swimming, kids and also snorkelling. Close to the Banyan Tree hotel at the south of the island the Anse Intendence is one of the few beaches on Mahé where turtles still nest. Due to less protection from the reef, there are bigger waves and for that reason it’s popular amongst surfers. 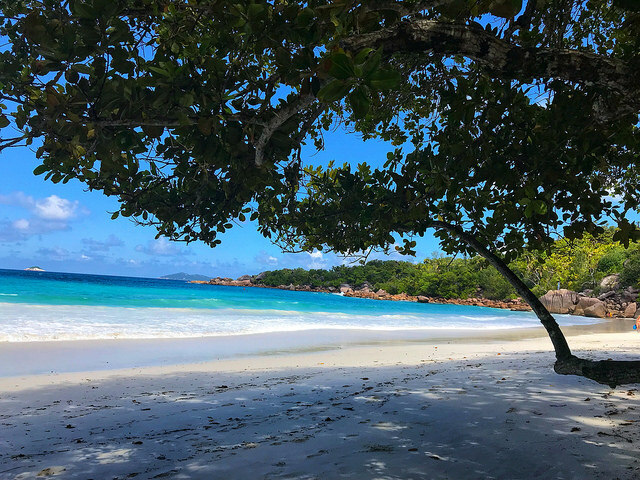 Praslin’s most famous beach is situated in the northwest of the island. 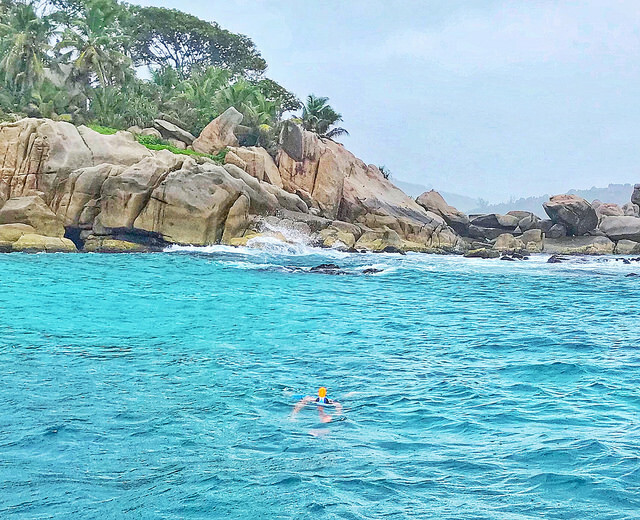 The beach is bordered by large granite boulders and is a great spot for snorkelling (when experienced). A long beach, crystal clear azure water and the sound of the waves crashing against the granite rocks will ensure unforgettable moments. 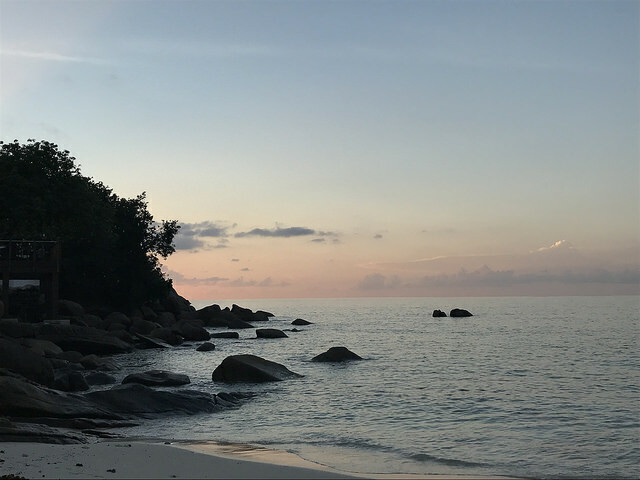 All beaches in the Seychelles are public so there is no problem in entering Anse Possession in front of the luxury Raffles hotel. Next to the hotel entrance you will find a path leading you to a small beach surrounded by rocks. Only few steps in the water and you will enjoy the opportunity to swim with some of the most beautiful and colourful species around the rocks. Only 20 metres into the see you might even find ray fish and manta rays between the schooling fish. This beautiful and very quiet beach lies between some rock formations. Once arriving you will discover a clean white beach while enjoying the sound of the waves. The beach is not easy to access. It is situated in front of the Lémuria hotel and golf court. Enter through the hotel entrance only with a two-day upfront beach reservation (free) and limited amount of people. Or if you don’t succeed there is a secret pass. Follow the road next to the golf resort till you arrive at the end of it. At the bus stop there are some locals who will be able to guide you through the forest – over the mountain to Anse Georgette. It is a though walk of around 50 minutes and will cost around 300 SCR per guidance. Only for experienced walkers. Negotiate upfront. 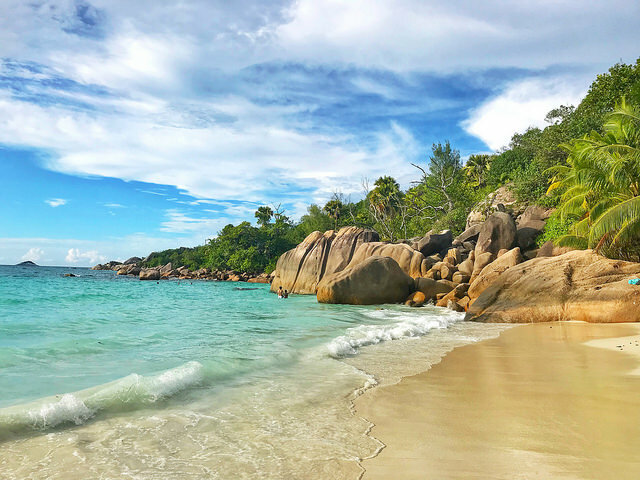 As beaches in Seychelles have to be public the hotel lost recently a court case and is obliged to built a new road in order to allow non hotel guests also to reach the beach but this might take some time. Once in La Digue you will notice the granite boulders become even bigger and prettier. Grand Anse with its pure white sandy beach sweeps along the nice azure Indian Ocean. Ready for a little excursion? At the end of the left side of Grand Anse you will find a small trail, which marks ‘Petite Anse’ with a wooden sign. 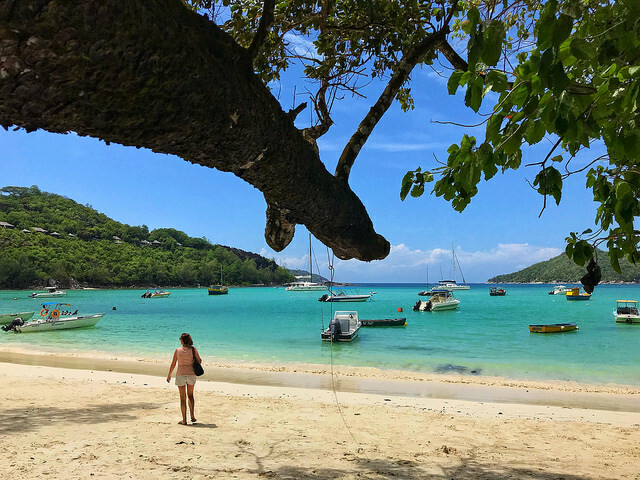 Follow the trail through the low-lying foliage and go over the small rocky hilltop so you will find yourself at Petite Anse for a smaller intimate version of Grand Anse. It offers several hand-woven Palm leaf shade huts. Still can’t get enough? Follow another path to Anse Cocos for around 30 minutes. At the end of this beach you will find a hidden natural rock pool with calmer water for swimming. Another national treasure not to be missed is Anse Source D’Argent beach. It is set behind L’union estate, a beautifully kept traditional Creole plantation, which still farms vanilla and coconuts. The entrance fee is obliged for both the estate and beach at 115 SCR. 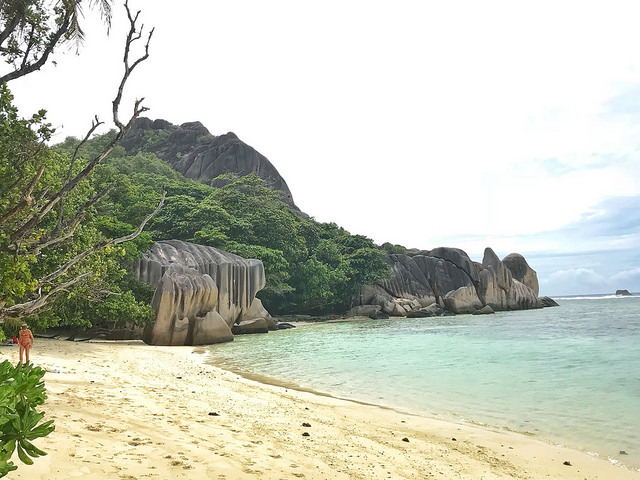 The beach Sorce D’Argent refers to the gigantic granite boulders, which stand like a picturesque stone arm and form several mini bays at the glittering coastline. 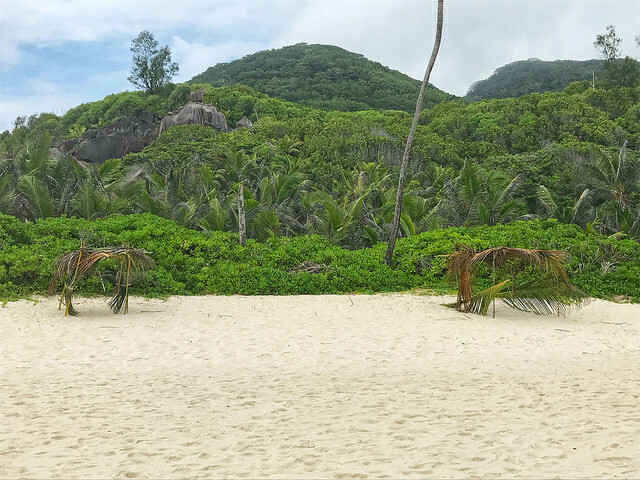 This is one of the most popular locations at La Digue. On the island the most popular form of transport is by bike. In addition you will also find some boat trip vendors in the little harbour. 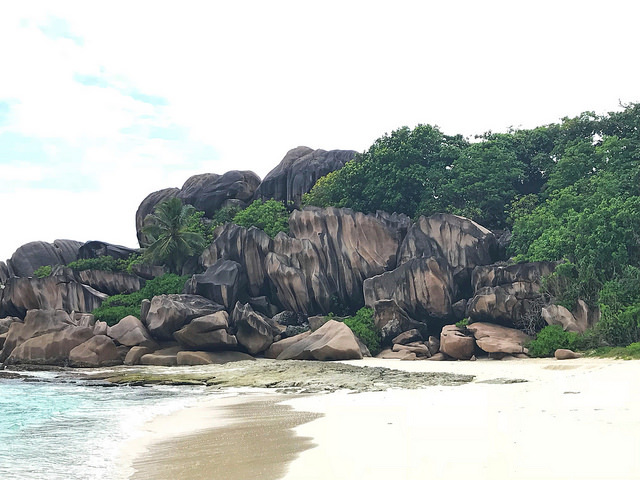 Several little islands around La Digue are famous too and definitively worth a visit. 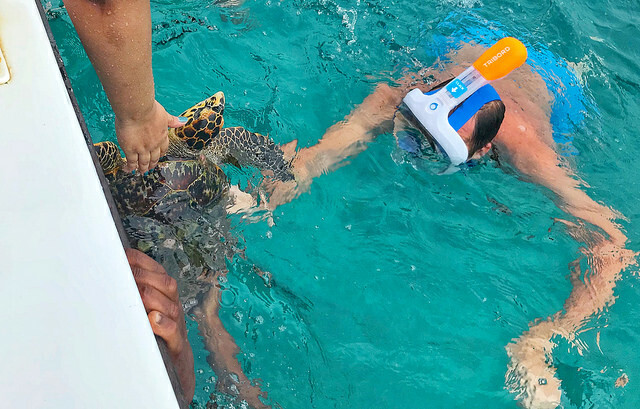 Take a boat to Coco Island and Félicité, like the little Belle Petra boat, and you might enjoy an amazing snorkelling experience above several coral reefs or swim with some sea turtles. Taxis on Mahé and Praslin are very expensive. Consider renting a small car at around 50€ per day as most areas are easy to reach and orientation is easy. Don’t forget, driving is at the left side! Consumer goods are very expensive and a lot of food & drinks are even more expensive than in Europe. Transportation from Mahé to Praslin and La Digue is very easy with the Cat Cocos ferry boat. The biggest and cheapest supermarket is on Mahé in front of the new harbour side. 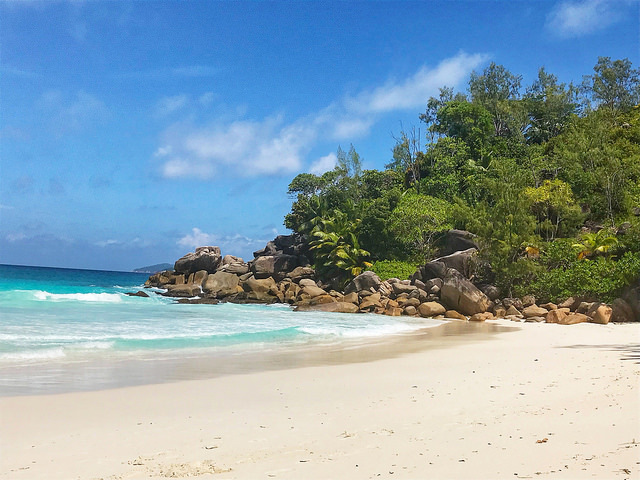 Seychelles is like a paradise: don’t forget to visit it soon and put it on your bucket list! Last updated by begusto at 02/01/2018 .